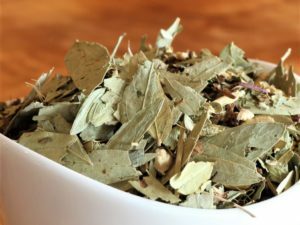 Beat the Snot out of You (Sinus Tea blend) is the best tea for a cold or allergies. It’s blended to clean your sinuses and clear your head. All ingredients are organic and specific to allergies and clearing your sinuses. Beat the Snot out of You is a tad tangy and with a strong turmeric taste. 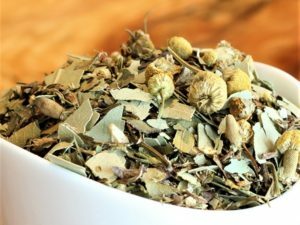 While the yerba mate adds a nice balance to the blend and provides a base flavor, the lemon and grapefruit give it a little zing. 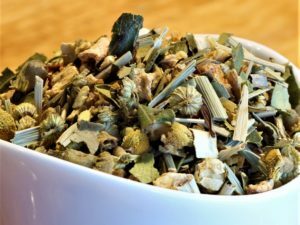 This is a popular blend whether you are stuffed up or not as well as fantastic when you have a cold! Rooibos, turmeric, yerba mate, nettles, ginger, lemon myrtle, grapefruit flavor and grapefruit.